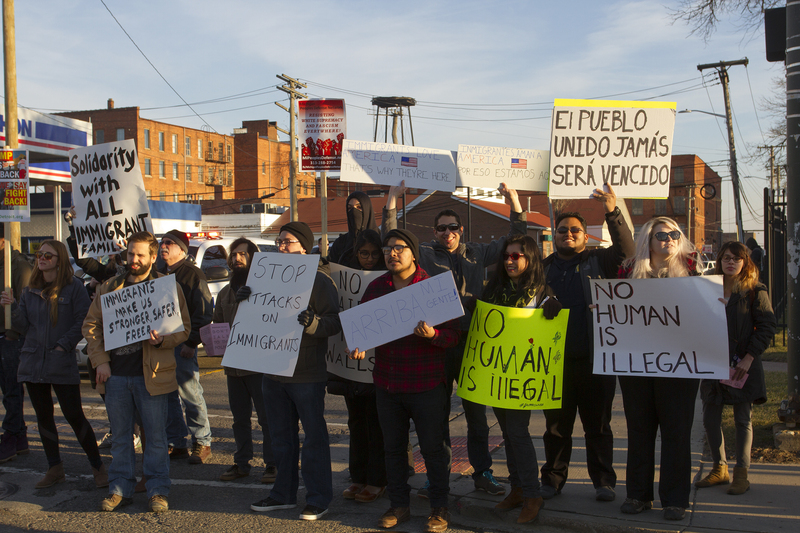 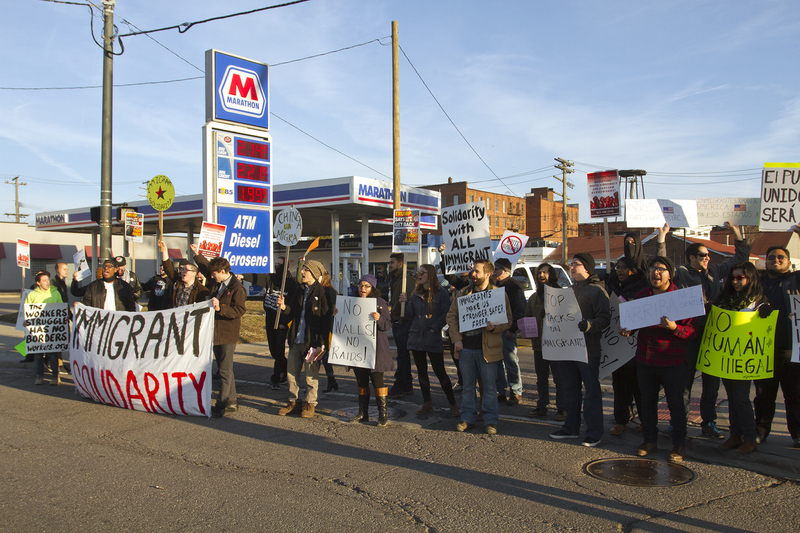 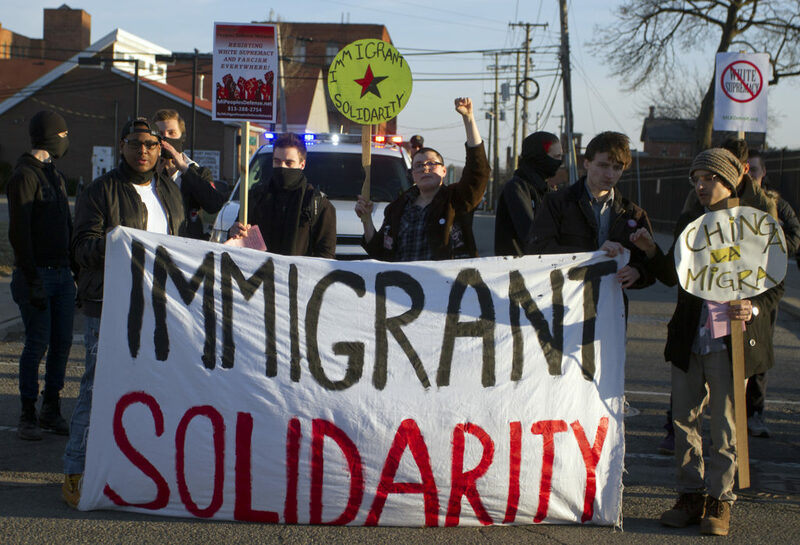 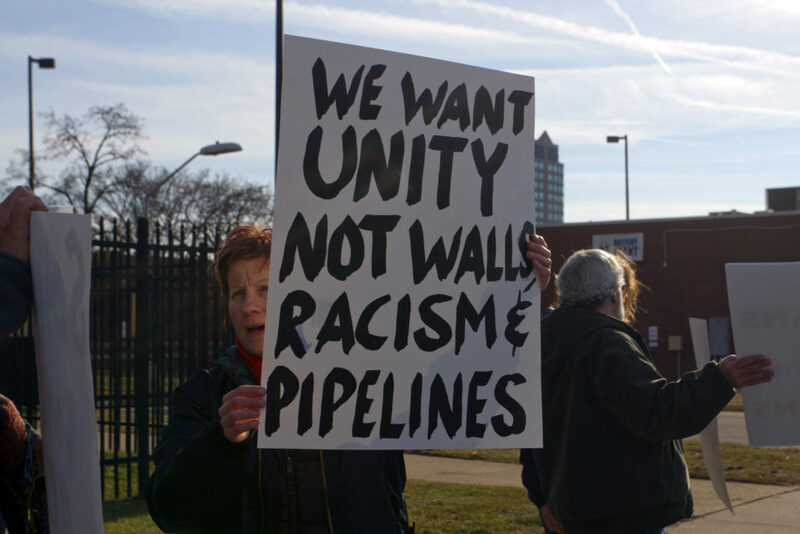 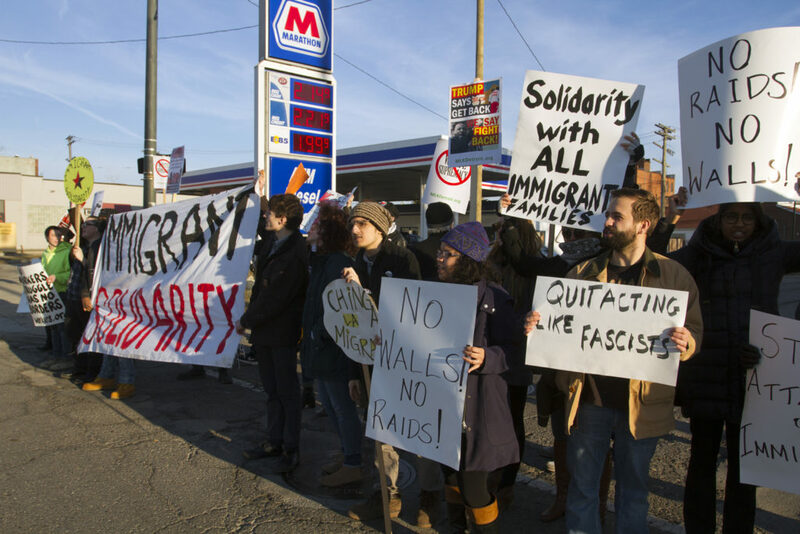 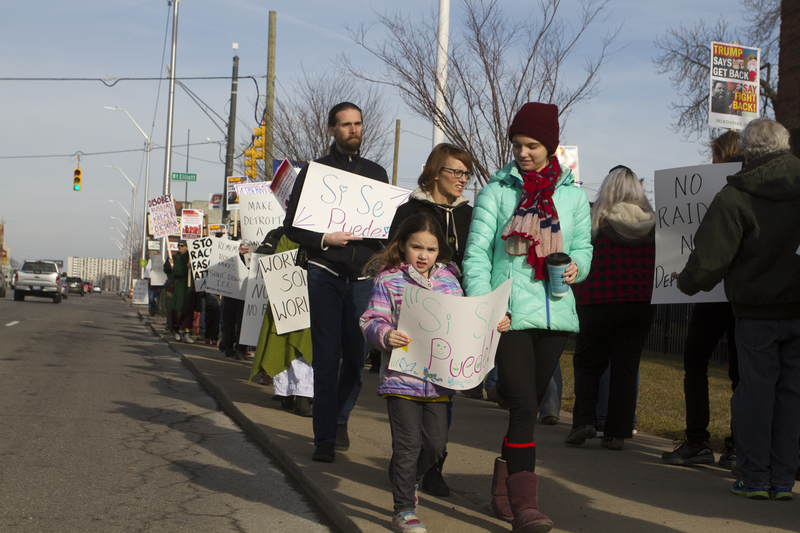 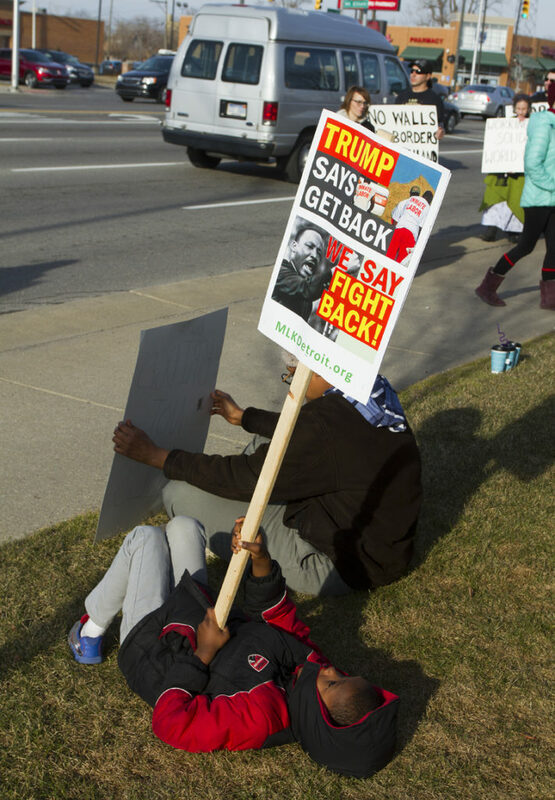 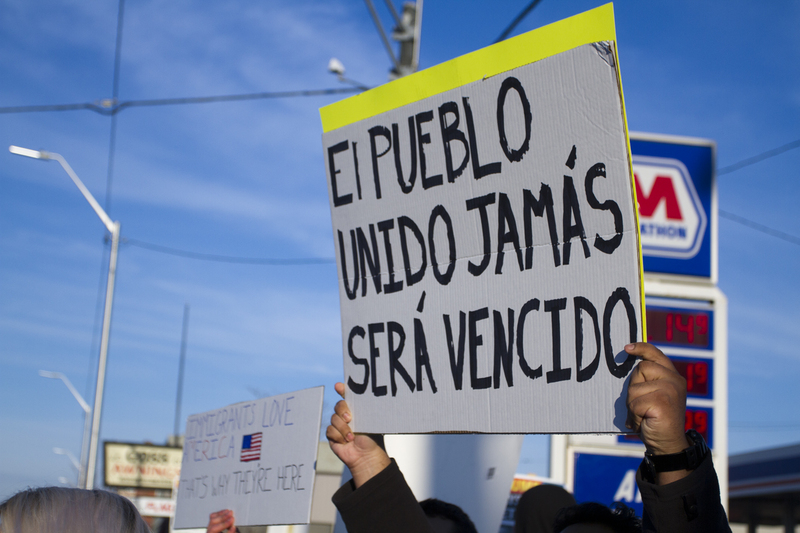 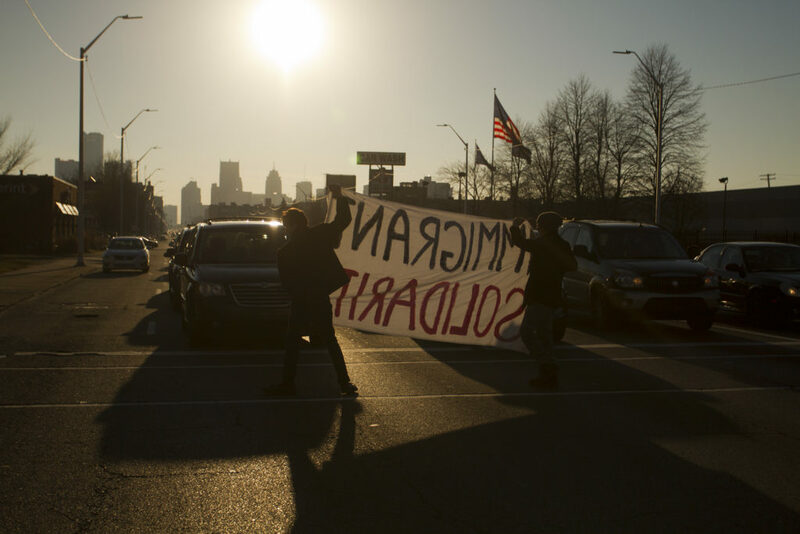 More than 100 protesters rallied outside of an Immigration Customs and Enforcement center in Detroit on Friday to show opposition to President Trump’s pledge to carry out mass deportations of undocumented immigrants. 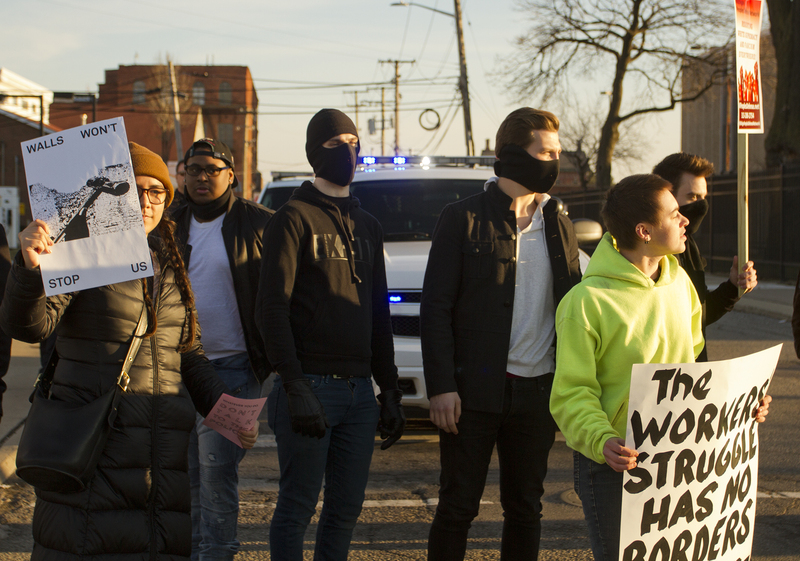 The peaceful rally last about three hours. 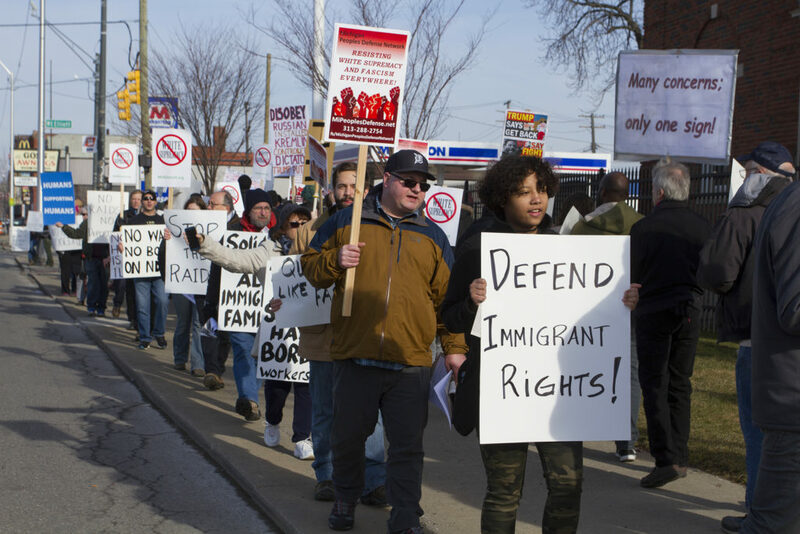 Many metro Detroit immigrants are worried that their law-abiding relatives and friends could be deported as part of Trump’s plan to target millions of undocumented immigrants for removal. Motor City Muckraker is an independent, ad-free watchdog funded by donations. 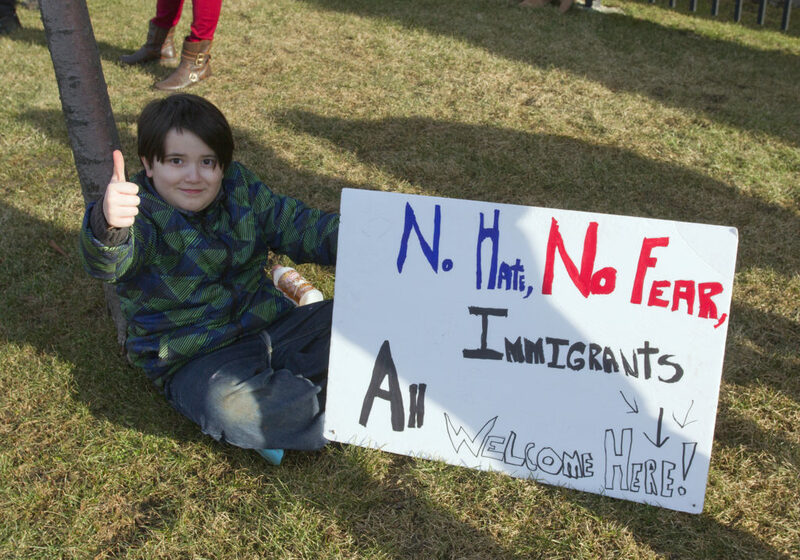 To help us cover more stories like this, please consider a contribution.